Spending up to $500 on a rifle scope ensures that you get solid quality and performance that matches your shooting and hunting style. You won’t have an issue to find a high-quality scope for that price as we show in our reviews of the 10 best rifle scopes under $500 below. You will find scopes from all the best-known rifle scope manufacturers in this category. You can expect a high-quality scope at this price point. Most scopes will target the medium to long range shooting market. 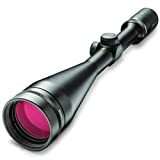 You won’t find your typical 3-9x scope in this price range and you also will not find any ultra-high magnification levels. If you shoot shorter distances, then have a look at our Best Rifle Scope under $300 review. If you’re only interested in long range shooting, then check our Buyer’s Guide for Long-Range Rifle Scopes. Otherwise enjoy our reviews of the best scopes under 500 Dollar below. 5 What changed between 2018 and 2019? You can expect to get a great quality scope in this price range that will support medium to long-range shots. Typically, you can get a scope that has a starting magnification of 4x. On the upper magnification level, you can go up to 20x or even 25x in this price category. You will typically see rifle scopes in this category that feature better optics and visibility than what you can get in the under $300 range. Most of the scopes offer better features and capabilities as in the lower price range. You also will usually get at least a 1-inch tube on the scope with a sufficiently large objective diameter. The combination of this is usually a much better image than what you get in the sub-$300 range. The scopes in this price range are also all to be expected to be waterproof, fog proof and shock proof. You can also expect these scopes to hold zero without a problem. Overall, you can get a great scope in this price range. Don’t expect the best of the best optics but it will be great optics you can get. Most likely better than any scope in the above $1,000 range would have gotten you 10 or 15 years ago. Below you find our picks for the best scope under 500 for different uses. Check them out and leave a comment if you have a different opinion. We’d love to hear from you! Undoubtedly, Vortex scopes are among the best you can get for the money. Last year our best buy was the Diamondback HP which you still can find at times. If so, don’t hesitate to get one. It’s no surprise that our top overall choice is again a Vortex scope. This year our pick is the Viper HS 4-16×44 with a V-Plex MOA reticle. It’s a great match for hunting mid- to long-distances. The scope offers a 4x magnification spread ranging from 4x to 16x. This is a sufficient adjustment to shoot out to many hundreds of yards. The objective diameter sports 44mm and allows a lot of light to come in which is necessary if you go to higher magnification levels. This is not a good scope if you want to go shooting and hunting across short distances. You’ll have a hard time to get your target into the crosshairs even though the Field of View at 100 yards is a solid 27.4 feet. The quality of the glass is where the Viper HS 4-16x44mm shines. It uses Vortex’ Extra-low dispersion (XD) glass. All lenses are multi-coated to reduce glare and reflections and allow for a crisp and clear image. Vortex placed the V-Plex MOA reticle on the second focal plane. Windage and Elevation can be adjusted by 50 MOA with 0.25 MOA per click. The tube is a large 30 mm tube that allows a lot of light to go through. This is a great plus in low-light conditions and will allow you to shoot earlier and later which can make a huge difference when hunting deer. Being a Vortex scope you expect good quality and build. The Viper HS scopes are waterproof, fog proof and designed to withstand recoil and shock. For the price you’ll have a hard time finding a better scope on the market. It offers everything you could ask for in this category for shooting and hunting use. The features offered in this scope made it our choice for overall best scope for under $500. The Nikon Monarch rifle scope series is an impressive lineup of highest quality optics for a wide variety of shooting. They are multipurpose scopes you can match up to any shooting need and style. 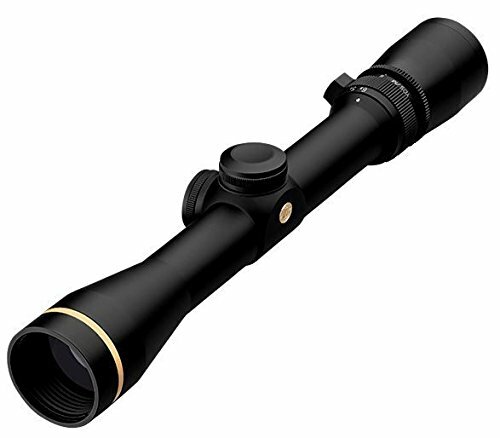 The best overall scope for hunters that stays under the $500 mark is the Monarch 3 4-16x42mm. It features the same magnification levels of 4-16x which provides plenty of options for medium to long-distance shots. The 42mm objective size allows sufficient amounts of light to get into the tube for a clear image. The Nikon Monarch scopes come in three different series. The most affordable is the 3 series we picked here. The 5 series and 7 series are more expensive and offer larger tube and magnification levels. As you’d expect from a Nikon scope, the Monarch 3 comes with fully coated lenses that keep the reflections to a minimum and won’t fog up. The reticle sits on the second focal plane. Nikon designed the Monarch series of rifle scopes to be used in a variety of situations. And, they delivered. 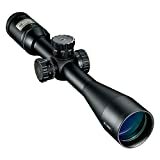 This scope is the overall best for hunting. If you’re looking for longer distance shooting, then you will have to step up to the Monarch 5 or Monarch 7 series which will also cost you more. You can check out that information in our review of the Nikon Monarch rifle scopes. Athlon Optics is not the most recognized name when it comes to gun optics. 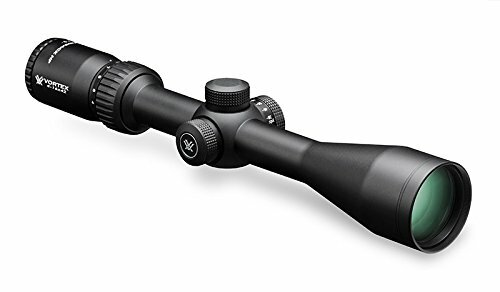 However, their Helos BTR series of scopes is a high-quality line of optics with illuminated reticles and outstanding glass clarity making them an obvious choice for low-light conditions at this price point. The reticle sits on the first focal plane. This makes this setup great for longer distance shots. The large 50mm objective lens provides a lot of space to let light get into the tube when lighting conditions are less than perfect. The scope offers a 4x zoom ratio. The magnification ranges from 6x to 24x making it a great match for longer distances. The lower end level will make it hard to target smaller prey at shorter distances. The glass is multi-coated making it glare free and improving the crispness of the image. The tube measures 30 mm in diameter and they make it from a single piece of aircraft-grade aluminum. To ensure fog and water proof-ness the tube is argon purged and sealed. The elevation and windage turrets lock. You pull them up to dial the correct values and then push them down to lock them in place. Both elevation and windage can be adjusted by 18 mils (60 MOA) with 6 mil adjustment range per rotation. We had already crowned the Nikon Prostaff 5 Mildot 4.5-18x40mm as the best long-range rifle scope under $500. For this pick we chose the same scope with the BDC instead of the Mildot reticle. As you’d expect, this scope does not disappoint. You really can’t go wrong whether you pick the Mildot or the BDC reticle, you get an excellent long range scope with the Nikon Prostaff 5. The scope offers great optics and coatings. The magnifications range from 4.5x to 18x and the objective diameter is 40mm. Compared to other scopes in this price range the objective is smaller which hampers the low light performance of this scope. In regular light conditions there’s nothing you’d have to complain about though. The scope delivers on quality and performance and is truly the best scope for long-distance shooting in the under $500 price range. The spring-loaded turrets feature instant zero-reset. The scope has a quick focus eyepiece to allow to instantly bring the reticle into focus. You get a great scope for long distance shots. With a 4.5 x lower magnification you won’t really want to use this scope for shorter distances though. The Leupold VX-3i series of scopes is a solid improvement over the original VX-3 series. The outstanding feature of this scope series and specifically the 3.5-10x50mm version are the optics. Leupold worked hard to get the best light transmission in this price range and their hard work paid off. The combination of the 1-inch tube with the 50 mm objective lens and the ultra-clear glass in this scope provides a vivid image with bright colors when you look through it. 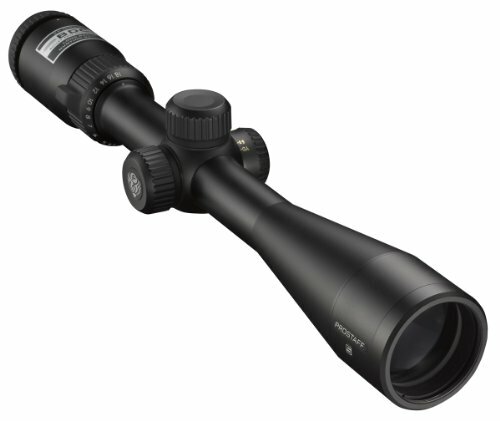 The magnification range is slightly lower than for other scopes in this price range. However, having the magnification start at 3.5x means you get a potentially more versatile scope as it works better at shorter ranges compared to the 4.5x versions we highlighted above. The 10x maximum magnification makes this scope not a great fit if you are looking for a long-range scope. 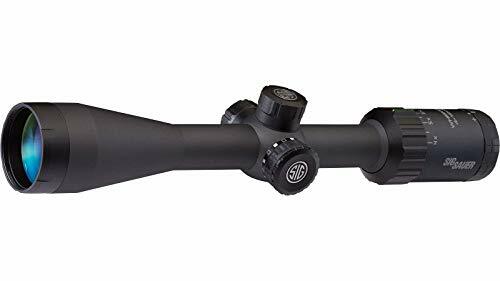 It is a good level though for most hunting situations so if you’re not out to shoot targets or truly are intent on shooting your prey across long distances then you’re having a sufficient magnification with this scope. And the scope makes more than up for the missing highest end magnification with the superb optics and view you get. You will get a versatile hunting scope with some of the best optics money can buy at a price point that makes it affordable for many hunters and shooters. 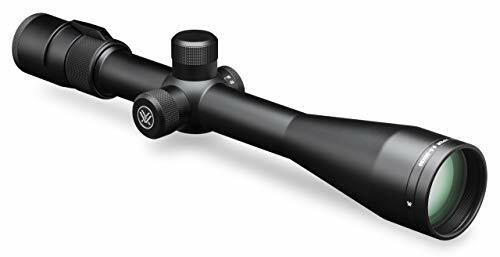 The Vortex Viper is a magnificent designed and built scope for long distances. The impressive magnifications level ranges from 6.5x to 20x. The massive 50 mm objective lens allows a ton of light into the scope. Best of all, the scope features a 30mm tube compared with many one-inch tubes in this price range. This tremendously improves the accuracy for long distance shots in low light conditions. You might ask why we didn’t pick this as the overall best long-distance scope? Well, we could easily have done that but the Nikon Prostaff has a more versatile magnification range. Yes, that might be a compromise if you’re really into long-distance shooting but a magnification starting at a 6.5 level restricts the scope to only be useful for long-range shots. It loses some all-purpose features and that’s why we picked the Prostaff as the overall long-range scope. However, when shooting long range in less than perfect light conditions, the Vortex Viper shines. This scope is all about optics combined with overall quality. 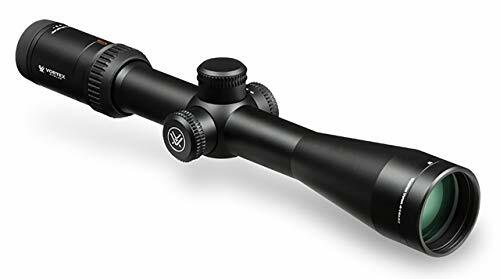 The Vortex Viper is a great choice if you are on a budget yet look for a scope to shoot long-distance. The downside is that the larger tube size, the impressive objective diameter requires a lot more glass and components. The result is a somewhat heavy scope that weighs in at over two pounds. Nikon designed the M-308 scope series specifically for heavy hitting centerfire rifles. You can use the Nikon M-308 on many different rifles though. It results in a sturdily built scope that will not let you down. The magnification on this scope ranges from 4x to 16x which gives you a wide spread for medium to long distances. As Nikon designed the scope for rifles with a larger caliber and more recoil, they also intend it to be used on longer ranges. It’s not a great scope if you are shooting short distances. The optics and lenses are what you’d expect from a Nikon scope. They feature Nikon’s multi-coated lenses on ultra-clear glass. The objective diameter of 42 mm is large enough to let a lot of light in when targeting for a long distance shot. In low light conditions you might be better off with a scope with a larger objective and tube though. The Vortex Viper we listed just above would be a better choice if that’s your style of hunting. The scope is, as you would expect, fog and water and shock proof. It’s a sturdy construction that Nikon designed for rifles with a heavy hit. There’s also nothing to stop you from using it on a lighter hitting rifle while enjoying the toughness of this scope. Overall, this is a great scope. It combines great optics with a solid design at a good price. You won’t regret getting this scope for hunting or target shooting. The Burris Fullfield II scope is another solid scope in the price range under $500. The problem it has is that it competes with the Vortex Viper listed above. Is it a worse scope than the Viper? We can’t say it is. It’s just that the Viper feels just a touch better and brighter. In all fairness, this might just be our subjective take on it. The Burris scope is solidly built with great optics. It offers a magnification ranging from 6.5x to 20x which makes it a great choice for long-range shots. The 50 mm objective lens lets a lot of light travel into the scope for better visibility in low light conditions. There’s really nothing that makes this scope worse than the Vortex Viper. One thing we liked was that this scope is significantly lighter than the Vortex. It comes in at just 1.2 pounds versus the over 2 pounds on the Vortex scope. It also is significantly cheaper than the Vortex. You can expect to save between $50 and $100 when you choose the Burris scope instead of the Vortex. We think that the Vortex is just a hint better. If you have the additional money to spend, then go for the Vortex. Otherwise, this Burris scope is an excellent choice. The SIG Sauer Whiskey3 4-12x50mm features a Hellfire Quadplex reticle. The main difference to the SIG standard Quadplex reticle is that it is illuminated. The red dot illumination provides a better aim at low-light and long-distance shots. In combination with the lower dispersion glass it provides top-of-the-line optical clarity for pretty much any shooting environment. The reticle sits on the second focal plane. That’s not a surprise at this price point. The eyepiece allows for quick adjustments of the reticle and rapid target acquisition in any environment. The scope is reasonably sized at 14 inches in length. Windage and elevation can be adjusted up to 70 MOA in 0.25 MOA steps. The SIG Sauer Whiskey 3 comes with multi-coated lenses to keep it free from glare and reflections. It’s a sturdy build that is waterproof up to 3 feet. The tube measures one inch in diameter and it purged to make the scope fog proof. Last but not least, we wanted to include a holographic scope into our list. 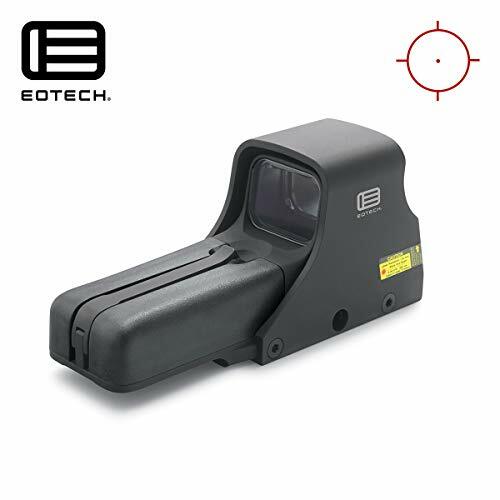 The EOTech 512.A65 is probably the most popular holographic scope. These kinds of scopes are mostly designed for tactical and target shooting use. They are less usable for hunting except for somewhat shorter distances. 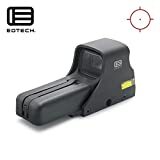 EOTech designed the scope for shooting within 200 yards but it works best for shorter ranges. It provides a clear view of the target and provides a 1 MOA red dot. Within the 200 yards the dot is right on where the bullet hits after zeroing the scope. This is not your traditional hunting scope yet there’s no reason you couldn’t use it for that purpose. The scope has 20 different brightness settings to allow you to adjust it to whatever daylight condition you’re in. It does not offer night-vision capabilities. You must spend more money to get that in a high-quality holographic lens. The scope is great on an AR-15 for target shooting. It’s sturdy and performs well. The only drawback is that the batteries only last up to around 1,000 hours. That might sound like a lot but other holographic scopes provide a much higher batter life. On the bright side, the scope uses AA batteries which you can easily get pretty much anywhere on the planet. 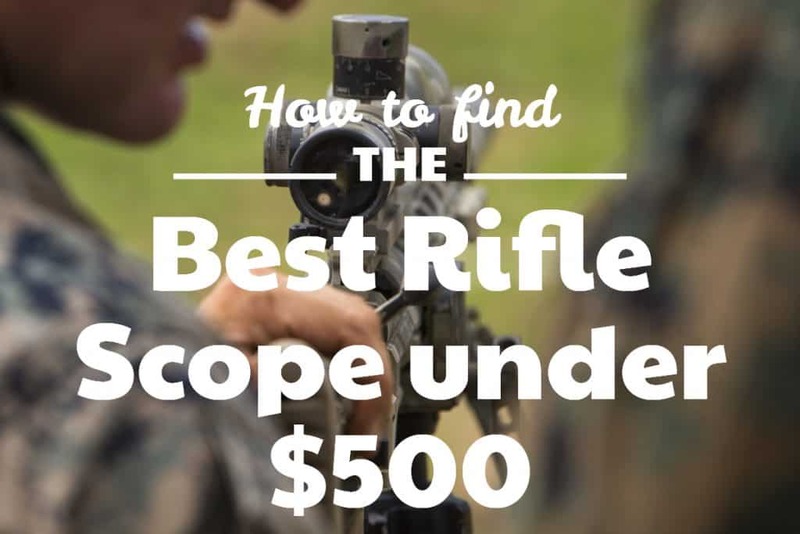 There’s no simple answer what the best rifle scope under $500 might be. We tried our best to highlight 10 great rifle scopes above and figure out what we think each one is best used for. Mostly the ‘Best of’ will depend on your intended use of the scope. If you’re shooting a max. of 300 yards then you won’t really need a 25x magnification. Our best suggestion – think of what you need and then pick the match out from our list above. ​These scopes all are good scopes. They’ve been used by thousands of hunters and shooters and the feedback for all the ones listed above has been overwhelmingly positive. You won’t go wrong if you pick one scope we reviewed here. Can you find other scopes in the price range that are great? Certainly you can. There are a number of other scopes out there that are good. We don’t assume or think we’ve seen them all. However, the ones above are a safe bet with practically no risk on your end. Get the best scope for you and then happy shooting and hunting! What changed between 2018 and 2019? Actually, quite a few things. Several scopes we had in our ‘Best Of’ list in 2018 are no longer available or have increased in price and are no longer under $500. We kept our reviews and our take on the scopes here for your reference. The Diamondback HP 4-16×42 was our top choice for a scope under 500 in 2018. However, it’s basically unavailable and if you can find one then grab it! We took the Vortex Diamondback off the list for 2019 as it is hard to be available. It does not make sense to keep it on the list when you have a hard time finding it. Vortex designs and produces high-quality rifle scopes. It is thus also no surprise to see them on top of the category of scopes under $500. Vortex is on par with Nikon and Leupold with the quality and capability of their rifle scopes. The scope features a variable magnification of 4 – 16x. This provides a large range to shoot in. The objective diameter of 42 mm is large enough to match the magnification and allow this scope to be a great all-around scope. It won’t be a good fit if you are trying to shoot short distances as the minimum magnification of 4x will make it hard to get the target into your crosshairs. This scope impresses with its impeccable glass quality. The BDC reticle sits on the second focal plane. The lenses are multi-coated to prevent reflections and keep the scope complete fog proof. The tube is 1 inch in diameter allowing a lot of light to travel through the scope. The scope is also waterproof as you’d expect from any of today’s scopes. The scope is quite heavy. Make sure of thinking about that when you pair it with your rifle of choice. Overall, this scope has all the bells and whistles combined with quality and performance to make it the best overall scope for under $500 in 2018 in our opinion. Zeiss no longer offers the Terra 3X. At least we couldn’t find it (reliably) available and for that reason alone it didn’t make the list for 2019! The Terra series is the lower end rifle scope family offered by Zeiss. Now, don’t get us wrong. 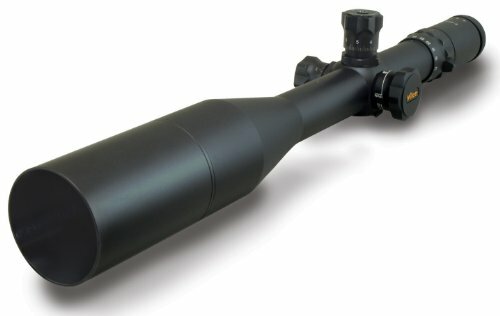 Lower end for a European and specifically German manufacturer means it beats out most of the other scopes you can find. The scopes are of highest quality. 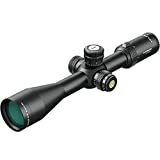 The Terra 3x, as the name already gives away, is the scope series that has a 3 times zoom ration. This means that the magnification on the high end (12) vs. the low end (4) is a factor of 3x. Compared to the higher end scopes by Zeiss, the Terra series doesn’t use the highest end coatings and glass that Zeiss uses in more expensive scopes. However, you still get a brilliant image and vivid colors. The scope sports a 50 mm objective and a 4-12x magnification. The large objective allows a lot of light into the scope making it a great choice for low light level hunts. Dusk or Dawn are your friend when you use this scope. The tube size is 1 inch which is standard in the price range under 500. The biggest downside with this scope is that you can’t set the turrets to zero once you zeroed in your scope. That would be a nice feature to have and it is standard on most other scopes but it’s also something you can live without. The Millet 6-25×56 LRS-1 is still around. Unfortunately, it’s not available under $500 anymore and that’s the only reason it didn’t make it in the 2019 best of list. If you are willing to pay over 500 Dollars, then this is a great scope. Go for it! When looking at rifle scopes under $500 we didn’t want to exclude an illuminated scope. And the Millet LRS-1 delivers as a fantastic scope in that price range featuring an illuminated reticle. Yet, this is a large scope. It measures 22 inches with the included sunshade. The magnification has a whopping range from 6x to 25x making it truly a long-range rifle scope. If you shoot long distances, then you’ll be thrilled with this scope. If you need this scope to support shots at short distances, then look elsewhere. The objective lens has a massive diameter of 56mm allowing a lot of light to enter the scope. This scope is overall on par with the Vortex Viper except that the large dimensions might not make it a great fit for all rifles. That is something you should consider. The 25x magnification without problems allows you accurately target up to the 1,000 yard range. However, the scope is not feeling as well-built and sturdy as the Vortex does. So, if you can skip the extra magnification then you might be happier with the Vortex Viper.